What kind of experience do I need to attend Instructor Training? an active Fitness and/or Dance instructor. There are no specific hoop moves or tricks that you need to know prior to training, and you do not need to be Certified as a Fitness Instructor or Personal Trainer in order to become Certified with Hoop Play. If you are not sure if you’re ready to attend Training, contact your Trainer. What does it mean to be “Certified” as a Hoop Play instructor? Like many other well-know fitness training programs, Certification is in place to maintain consistency and integrity. Although many people may include hula-hooping in their fitness classes, teach hoopdance, or attend Hoop Play Instructor Training for CECs or skill-building, only Certified Hoop Play Instructors teach the industry-recognized Hoop Play program. Our program was specifically designed to fit within the scope of practice for Group Fitness Leaders and therefore, the liability insurance provided to most fitness association members. Since hula-hoop fitness and hoopdance moves vary greatly from instructor to instructor, Certification ensures that students, customers, associations and facilities/employers know exactly what kind of class you are teaching. This builds trust, credibility and professionalism. Moreover, only Certified Hoop Play Instructors receive access to our private instructor group on facebook, ongoing updates to their e-book, new program plans and instructor resources, marketing materials, an online listing at hoopplay.ca, hoop-building help and guidance, and a 30% discount on hoops! "Katelyn Selanders and Cody Selanders: I have never taken a certification [where the instructors have] shown so much care supporting their students! I appreciate your sharing and collaboration beyond words!" How long am I Certified after I train? What is the Certification renewal process? Upon the completion of Training, you are Certified as a Hoop Play Instructor for a minimum of one-year. Throughout the year you are entitled to all of the resources listed above, may actively advertise as a Hoop Play Certified Instructor, and teach the Hoop Play program. After one year (renewal takes place in January of each year) Instructors are required to either pay a yearly fee of $29.99, re-attend an in-person training event, or complete further education (such as our online Train-the-Trainer program). This Certification renewal process is necessary to ensure our Instructors are active in the Hoop Play community, keeping up with changes to the program and best practices in fitness training. You can view all the details on this year's Certification Renewal Process here. Should your Certification lapse or you choose not to renew, you will lose access to the resources listed above and are no longer permitted to use the Hoop Play name/logo or teach the Hoop Play program. To re-certify after a lapse, Instructors must re-attend training. If you need to take a break from teaching due to an injury, pregnancy or extenuating circumstances you may apply for an inactive status. Please contact us for details! When and where are Hoop Play Instructors Certified to teach? 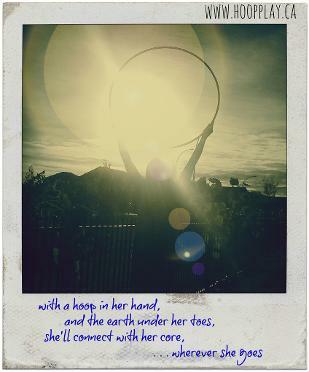 After completing in-person training you are Certified to teach Hoop Play whenever you feel ready! Most of our instructors teach independently – by renting their own space or getting hired as an independent contractor for special events. That means you can determine your own rates, terms and schedule! If you are not ready/choose not to teach independently, we highly recommend working with your local Community Association; since, they typically provide liability insurance, an hourly rate, a reasonable fee for participants, and promotional assistance to fill your classes! If you are interested in teaching in a recreation center, gym or studio then be sure to ask what their requirements are in order for you to teach at their facility/as their employee. Some facilities may allow you to start teaching Hoop Play classes as long as you are certified as a Hoop Play instructor, while others may require you to become registered as a Group Fitness Leader as well. Hoop Play is considered a specialty certificate, just like Zumba® or Pilates. At present, the Hoop Play program is recognized by Canadian Fitness Education Services (CFES) and the National Fitness Leadership Alliance of Canada (NFLA) members in Alberta (AFLCA), British Columbia (BCRPA), Saskatchewan (SPRA), Manitoba (MFC), Ontario (OFC) and Nova Scotia (NSFA)! We are also actively pursuing assessment in New Brunswick and are open to having Hoop Play assessed for you if you are a member of a different association! Please contact us to have it assessed for you! "I'm beyond amazed with all the opportunities Hoop Play has given me!" What kind of hoops do you use? In order to meet the needs of a diverse audience, we use a variety of hoops at Hoop Play Instructor Training and during all of our classes/events – and all hoops are handcrafted by us! and for kids workshops, adult off-body hoop moves and advanced hoopers we use a 32” PEX hoop. We also bring at least one 60” Megahoop to every event! The MegaHoop is great for teaching new hoopers the gentle movement required to keep the hoop up (and it always draws a crowd!). During training we will have all of the above hoops on hand for you to try, so you can see what works best for you and experience what it might be like for your students! Once Certified, it is imperative that Instructors use our hoops/build to our specifications in their classes, to ensure safety, consistency, comfort with moves, and affordability of hoops for participants. Do you already make hoops? Don’t worry, we will give you the exact specifications of our hoops so that you can build them yourself, and all of the material required is inexpensively sourced within Canada (and usually found at your local hardware store!). We want our Instructors to make a living teaching Hoop Play; whether you do that by selling our hoops or making your own, is up to you! Are hoops included with training? Training attendees are typically given the choice to bundle their Certification with hoops. Check with your trainer to find out what your options are! Hoop Instructors everywhere will tell you that they supplement their income through hoop sales, and Hoop Play is no different! Our Certified Instructor discount (30%) is designed to make hoop sales affordable for the customer and profitable for the instructor. Most of our instructors sell their Teaching Hoops for $30-40 each, and pay anywhere from $12-15, so the profit margin is always kept high! What if I need to arrive late or leave early from Instructor Training? What if I can only attend one day? If you can only attend the first day of training you will be Certified as a Level One Instructor only (7 CFES CECs, 6.5 BCRPA CECs, 7 AFLCA CECs, 2.5 MFC CECs, 8 OFC CECs, 1 NSFA CEC or 4 SPRA CECs). If you need to arrive late or leave early for training please inform your trainer ahead of time, and be prepared to catch up with homework and/or a one-on-one meeting to ensure you understand all of the material! If not, you may not receive your Certificate! Unless you have already successfully completed Level One training, attendees may not attend Level Two/Day Two only. Please contact us for special rates if you are already a Certified Level One Instructor. Can I still attend if I am pregnant, have an injury or illness? In general, hooping is a safe, low-impact exercise tool for all fitness levels! We have trained pregnant attendees, those with chronic back and hip injuries, and even attendees with acute ankle and knee injuries! However, as with any new fitness activity, please discuss your unique situation, questions and concerns with your doctor! You will be asked to complete a Physical Activity Readiness Questionnaire (PAR-Q) soon as you arrive. For your information, during Hoop Play training you will be required to waist hula-hoop for up to 40 minutes at a time, and upwards of 5 hours over the course of a 2-day training event. Moreover, you will be required to stand for upwards of 10 hours over the course of a 2-day training event. Attendees will also require considerable use of their hands, wrists and arms for off-body hooping. Attendees are expected to participate in all of the class demos, and try new moves; however, it is equally important that you listen to your body and take breaks as needed throughout training! Upon completion of training, you are encouraged to only teach what moves you are most comfortable performing. What should I wear to training? Do I need to bring anything? Since Hoop Play involves a substantial amount of waist hula-hooping, we recommend tight-fitting clothes – shirts that are not likely to ride up and pants that are not likely to inch down! Cotton material is best since the hoop will stick to your body more easily. Dress in layers so that you can let your body sweat when we are active, and stay warm and comfortable when we are working on theory. Please bring comfortable indoor running shoes, a water bottle, a pen or pencil, and something comfortable to sit on if you need it. When we are not hooping we will be sitting on the floor in a circle. You may wish to bring a yoga mat, blanket or cushion. If you require a chair please let your trainer know ahead of time ! Typically, you will be given one half-hour lunch per day during training; therefore, we recommend packing a bag lunch so you have time to eat and rest. It is also a great idea to bring lots of healthy snacks that keep you fueled! You do NOT need to bring a hoop but are welcome to bring one! "I have been teaching Hoop Play for over a year now, and Katelyn is an excellent instructor. I've messaged her about instructing clients that hoop the opposite direction and/or prefer their other hand for doing lifts, etc. and she is always so helpful and knowledgeable, even just through correspondence. I couldn't ask for a better hoop instructor." "I had one little girl who was so shy and always kept her distance from the others, so I worked with her a little bit extra and she was the first to get her hoop going around her waist. She was so proud and you could visually see the change in her, she was confident and brave. By the end of class they were all cheering for her and hugging. When I told her mom she almost cried. Her daughter is autistic and can't find ways to connect with people, so hooping helped immensely. We're going to do some one on one stuff to help her. And that is the exact reason I love hooping. Everyone can connect and feel it. I am so blessed to have met you guys and to have you lead the way in awakening the world to a better way of living. Seriously, you guys are amazing and the work you do is so important. Thank you." "I loved every minute of this training program! I learned a lot about how to teach, as well as new moves. It made me confident enough to start teaching on my own! Overall great experience and would recommend it to anyone! "